A lot of people don’t like to work with calendars or to plan anything for their business. I am going to challenge you then, especially if you are running a team or a marketing business. If you are running a team, a marketing team, or a project, whatever you may be doing, you will need a plan. This is something you need to do every day. You cannot just wing it. If you are just winging it, chances are you are not going to be as effective as you need to be. Of course you can make it up as you go along — you can react to things, but that’s just like having a job. You’ve got no responsibilities, or growth plans, or anything else, because you are just going to react. That means that people are going to email you and you are going to decide your day based on the emails that come in. People are going to phone you up and interrupt your day giving you things to do and you will base your day off of these things. Staff or team members are going to come to you with issues or things like this and you are going to help out. You didn’t get much done because you let other people decide your agenda. So the more successful people will plan and will have structure to their day. Now, of course, they may have assistance, but a modern entrepreneur does a lot of this themselves. It all comes down to determination and habit. So if you are going to do certain types of work, every single day, block it out in your calendar. For instance, if you are blogging and you are going to write a post, or create an email for your list (these are things you should be doing by the way), then do it at the same time every week. Try and do it in batches if you can, so that you can get more done (and we will talk more about this next week in another podcast). Try to block it out in your calendar and make an appointment with yourself. For instance, if you have an appointment in your calendar with someone who is coming in to see you, or you are going to see someone else, then all these other things don’t get done. You cannot do them because you have an appointment, so make appointments with yourself. This includes blocking out free time for you. How many times have you had your lunch at 3 in the afternoon, or you just plain forgot all together because you were just too busy? Why can’t you have lunch? Just block it out. 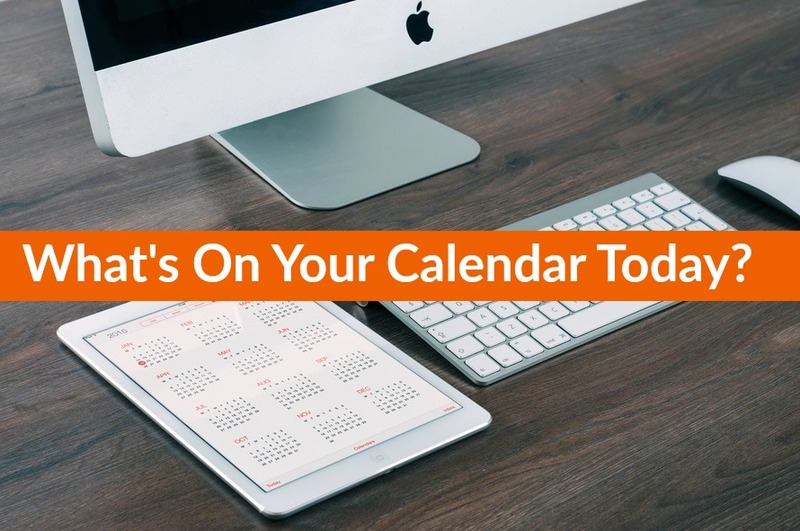 Take the time away from your desk by putting it on your calendar. Your staff gets a lunch break so why shouldn’t you? You are in charge so why should you have lesser working conditions than anyone else? Remember — plan it. Of course you can have a to-do list and have a list of all the things you want to be doing, but that should also be part of your plans, but don’t let this overwhelm you. To-do lists are things that come up. They are not regular tasks. They are for projects and things that come up. Your to-do list should not have admin tasks. Your to-do list should have things that move the business forward. So if you set your goals and say you have some things you want to get done in the next 3 months, that should then be broken up into projects, which I am going to talk about tomorrow. I will be sharing in the weekend challenge how to put a project together from start to finish — and the process we use here at Marketing for Owners. With this, you will have your project and that will have steps, and then what you do is you just choose 2 or 3 to place in your day and get them done. But there are other things that are regular. For instance, for me on Wednesdays, first thing in the morning I will have exercise, some thinking time (thinking about what I am going to do in the day), then I slot in a little more exercise, and slot in breakfast at 10, and I certainly do not answer emails during that time. So, the first thing that I do that day is to make notes of things and ideas that I want to discuss in the podcasts. Then other parts of the morning will be spent writing, etc. On Wednesdays, I do an expert interview series and yesterday I had a fantastic guy on — Nick Wheeler of Charles Tyrwhitt shirts. He is fantastic and is definitely one of my business heroes. So for these interviews, I set about coming up with questions I want to ask after doing my research on them etc. I have to email them, chat with them about the interview and such, so that is in a slot as well. Then there is a slot for a shower, then a session for training (I have a lot of training videos and programs as such that I work through). Then I answer emails for about 30 minutes and then I don’t do emails again until 5 or 6 o’clock in the afternoon. Then after that, there will be podcast recording time. I do those in batches and that is when I fit that in. Then later on in the evening I leave it open for webinar work and that sort of thing. And all of this takes place on one single day. My Wednesday will be like that every Wednesday. Now, if I am not in on a Wednesday and I have something else that I have to do or somewhere I have to be, it will be moved around. I have free time blocked out in certain areas of the week where I can move these things to be done, and that’s my Wednesday. Thursday I set aside for certain meetings, Mondays are planning days, and I even have it scheduled on my calendar a time for me to sit down and plan my week. Now — this is what should be in a calendar. This is helping me. I have shown my calendar to quite a few people and it has given them an insight into what they could do with theirs. You don’t have to have it all blocked out but there are certain things you have to get done so block them in your calendar. Otherwise you won’t fit them in, you won’t take the time to get them done. Like I have said, if you want to progress, and to grow your business, you need to work on the things you need to be working on. Please don’t wing it. That is my advice for today. It applies to marketing, business — to everything. And don’t forget to plan your free time and time for your family as well. Get it in there and get it on that calendar. Today is a Thursday which means it is time for a Drive Time Podcast. 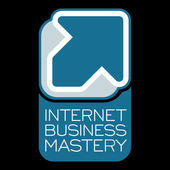 Today I want to tell you about the Internet Business Mastery Podcast. This is hosted by Jeremy Frandsen and Jason Van Orden. It is generally for beginners in their business who are just starting up. It’s good solid information. I have never heard a bad one yet. I recommend it. I will be back tomorrow with the weekend challenge on how to put together a project. I will see you then.